This has to be my favorite way to serve Iced Coffee. I just love the layout, the ingredients, and the coffee, too! Left to right: a glass of cold-dripped coffee served on crushed ice, some liquid sugar & cream in little jugs, a small jug of iced coffee for further drinking, and a stirring spoon. Served on a stainless steel tray with a paper doily. 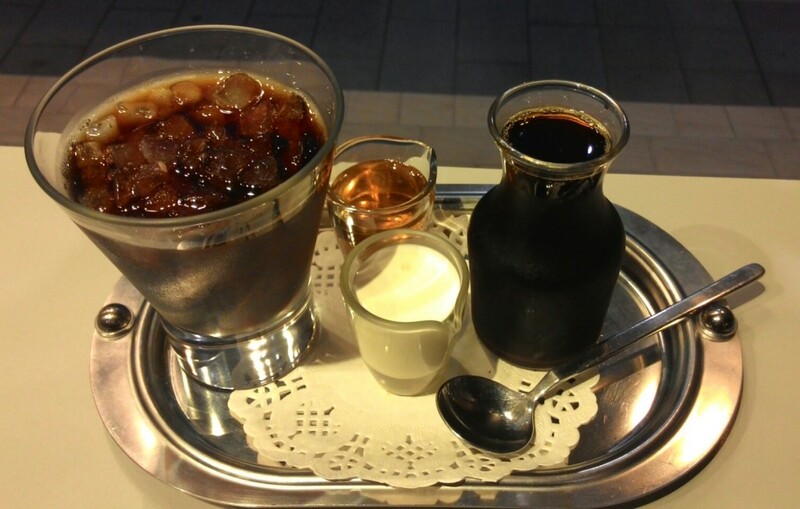 I love that coffee shop, but you too can make your own cold-brewed coffee. The flavor is so smooth, without any of the acidity that you notice in other coffees. 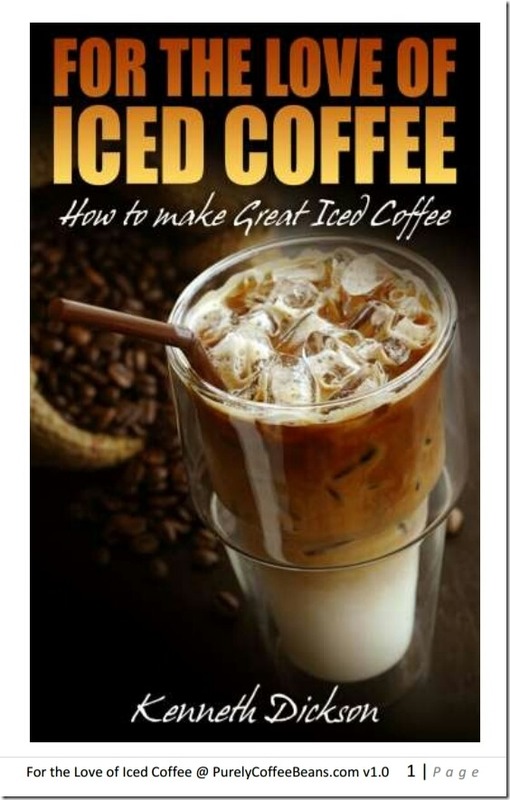 To make your own cold-brewed coffee or iced coffee, read my Iced Coffee Book! You’ll find the recipes, ingredients & tools mentioned there, but you’ll have to work on your own presentation… Of course, you’ll send me a picture :D!